It is native to the Amazon, from Peru to eastern Brazil, and bears an egg-shaped, yellow to bright orange, edible fruit which is prized by local people. 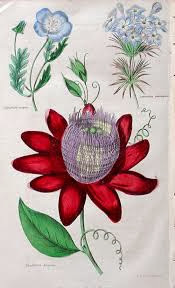 Its subtropical to tropical origins mean that it is not suitable for growing outside in a northern European garden as it does not cope well with temperatures below 4 degrees Celsius. Even so,it may survive outside in warmer areas if the wood has been well-ripened in summer. In cooler areas, Passiflora alata is better off grow in a greenhouse border or a large container filled with a loam-based potting compost. Place in full light, but with some shade to protect it from scorching from hot sun. Ventilate freely when temperatures exceed 21 degrees Celsius, and keep the atmosphere humid by damping down the floor. Syringe the flowers to encourage the fruits to set. No feeding is required but a light annual mulch in March of well-rotted compost or farm-manure. In winter keep the plants just on the moist side, but you can water freely during the spring and summer. 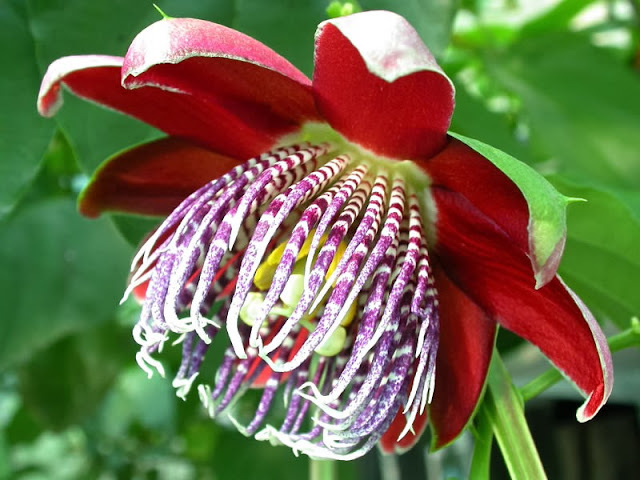 Passiflora alata has been given an Award of Garden Merit (AGM), by the Royal Horticultural Society which is given to plants of outstanding excellence.